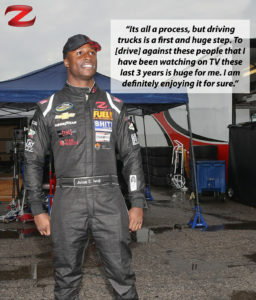 Even with the small, albeit strong, support Lt. Iwuji has, he advanced six places ahead of his starting position during the Chevrolet Silverado and competed with a total of 32 trucks in the race. He finished two laps down to the winner of the race, Justin Haley. 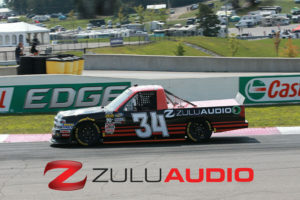 Zulu Audio proudly sponsors Lt. Iwuji and we are excited to stand by him as his career advances.